Everyone love to music. Good music is good for the body and soul. Having a good app to listen to music at the go on your smartphone without need of internet connection can be exciting and fun. Sometimes finding music on your Smartphone can be stressful, but not to worry, with these music player apps you can easily search for songs or albums on your smartphone. 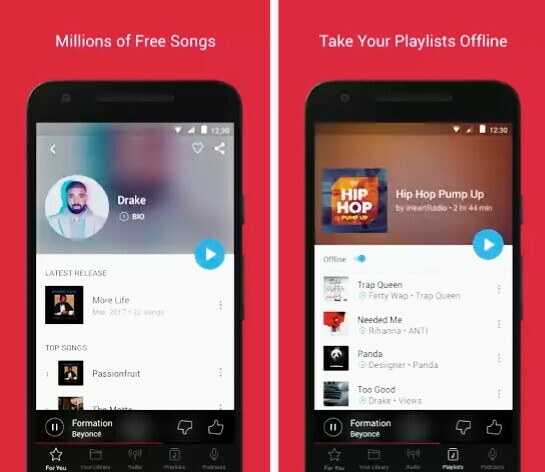 Below are the list of apps to listen to music offline, some are free version while others are paid apps. Pandora is the easiest way to find new music based on your favorites. Get a personalized music experience that continually evolves with your tastes. Create free radio stations and playlists based from your favorite songs, artists or genres such as pop, rap, rock, EDM or country. Want to control your music streaming experience? 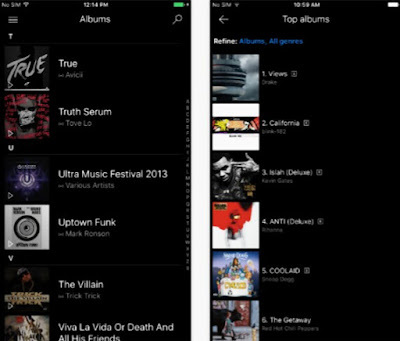 Search for songs or albums in your Smartphone and stream with no ads. Create your own playlists or use Pandora's "Add Similar Songs" to finish it. 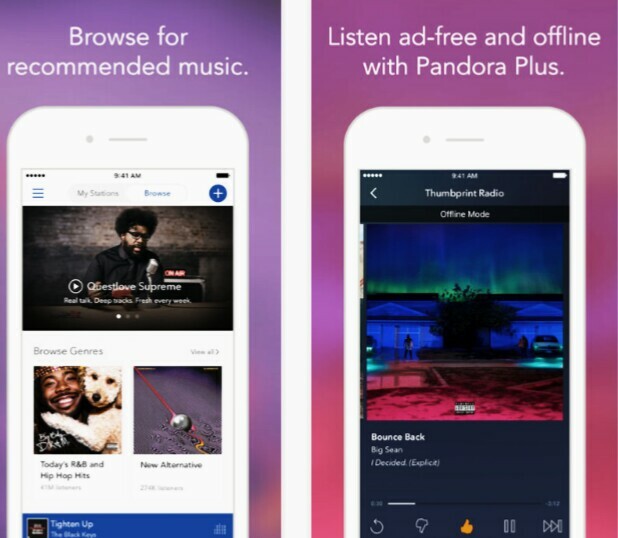 Pandora also lets you take your music offline. Choose the playlist, album, or song you want to download and listen anytime without Internet connectivity. IHeartRadio is one of the topmost music streaming apps that gives you access to over 800 radio stations from across all the cities in the U.S. Play unlimited music and thousands of radio stations with iHeartRadio on Apple TV. Download today and listen to radio, music, news, podcasts, sports, talk and comedy shows all in one app. iHeartRadio is easy to use and best of all it’s FREE. SoundCloud is the world's largest music and audio streaming platform – 150 million tracks and growing. 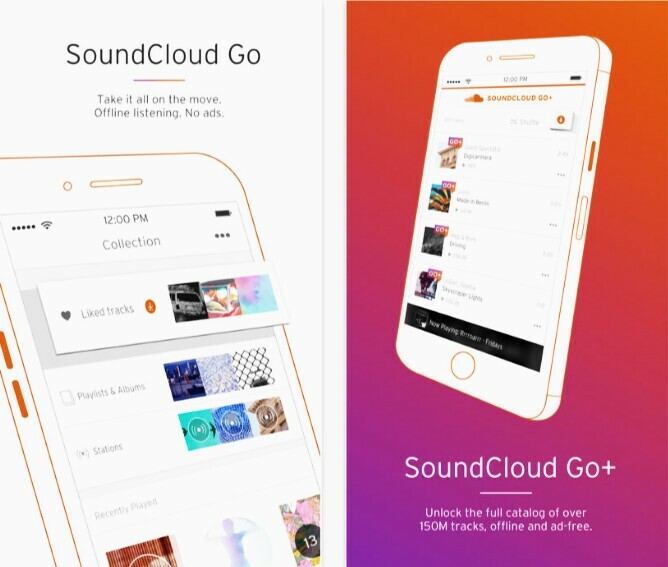 With a buzzing community of artists and musicians constantly uploading new music, SoundCloud is where you can find the next big artists alongside chart-topping albums, live sets, and mixes for every occasion. You can even browse for latest and original artists or listen to some of your old favourites. All you need to do is simply log-in, and you can follow your favourite artists, like certain songs. You can even comment at certain points in songs. 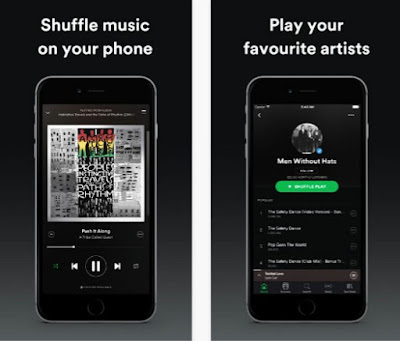 Spotify is one of the well-known music streaming services available, and as such it has a 20 million sturdy catalogue of tracks available to listen to. It comprises of a thriving hub of third-party apps as well that includes the BBC’s Playlist service among many other through which you could extend your listening. One of the great ways to share what you’re listening to with friends is Spotify. 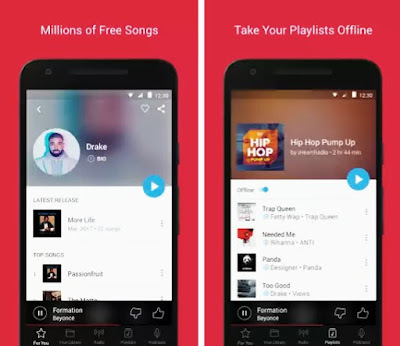 Once you connect with the giant social networking site, Facebook then the app will post what you’ve been listening to. If you are much concerned about your privacy, you can keep your selections private. You can access entire libraries from your favourite musicians, or find playlists based on your mood. It is free to use Spotify on your PC, but you will have to pay $12.99 a month if you want to use it on your smartphone and get rid of ads. Groove is another top best music streaming apps for both Android and iPhone. This app has been gaining a lot of attention recently, especially after reaching 85,000 downloads in just 24 hours and becoming the number-one music app in the Canadian App Store. Groove music streaming app is just like Apple’s Genius upon turbocharging. Boom Player is 3D Virtual Surround Audio player app which lets you immerse deep into a magical 3D Surround Sound experience. It allows every subtle note of your favorite tracks to express itself vividly and give you a realistic feel. 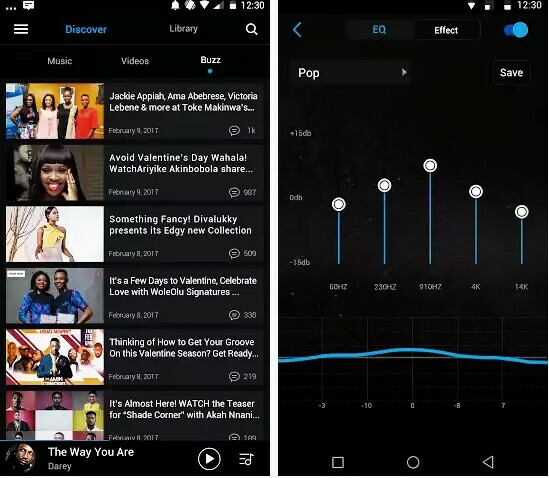 Think your music player is not giving the right tune and base effect, it's high time you switch to boom music player. 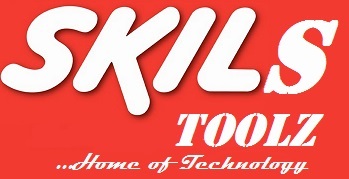 Easily personalize your music equalizer to suit your taste and browse and play your music offline.